There are opportunities for everyone to achieve big things. But getting there takes work and effort. That means getting things done in order to achieve what you want in the long run. You need to have the right attitude and mindset to go about it otherwise you can’t expect to get anywhere fast. Your potential is all there to be successful and it’s about taking the right steps and moving forward. 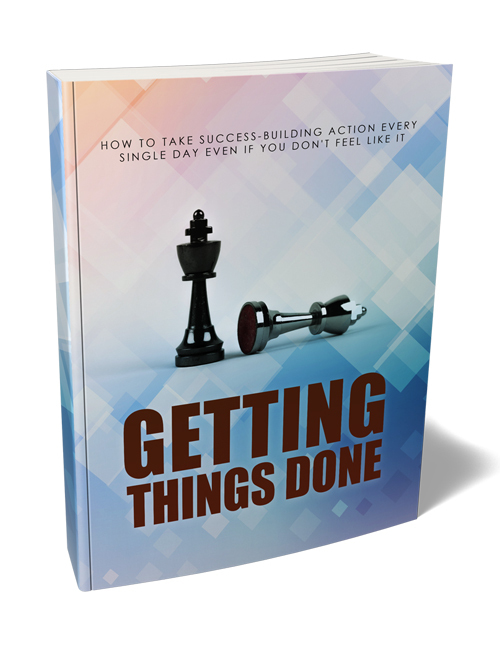 In this guide which complements the Getting Things Done video course, you’re going to lean how to take real action starting today. You’ll discover the various mindsets you need to be successful, the importance of taking action, how to be more effective in everything you do, challenging yourself to be better, controlling your emotions so you can keep marching forward and handle any obstacles in your way and much more. The simple lesson in life is that nobody can do anything for you. If you want something, you have to go out there and get it done. Even with help at hand, you’re controlling your own destiny. You’re the captain of your ship. And it’s up to you to get things done. It’s that simple. When you’re ready, hit the download button and start moving forward fast.